The Ponta DelGada Drive-In opened July 9, 1957 with “Amazon Ship”. With a capacity of 900 cars, the drive-in showed films until 1970 when it was shut down until 1979. It closed for good in 1982. The original marquee is used as a club sign while the projection/concession area became a boys' club. 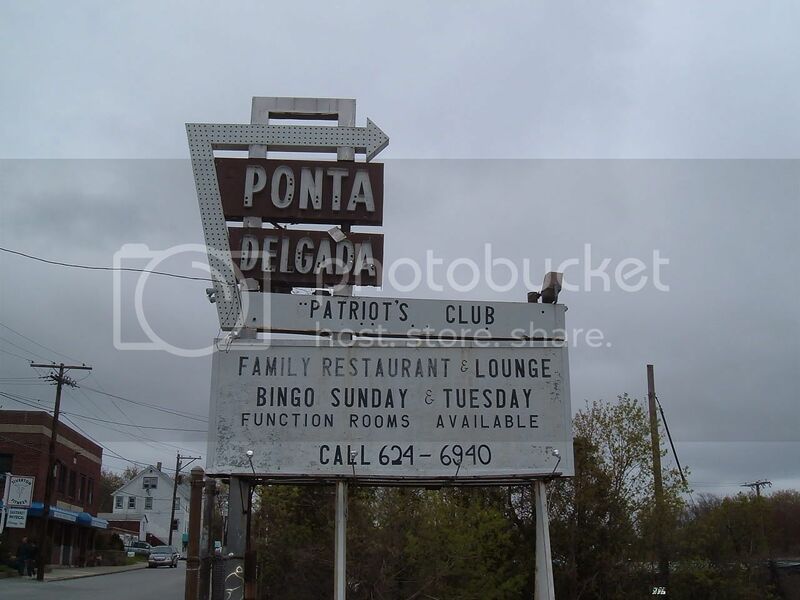 Although generally called the Ponta Drive-In, its full name was “Ponta DelGada” after the capital of the Azores. There are many Portuguese and Azoreans in this area, especially in nearby Fall River, Massachusetts, which borders on North Tiverton. 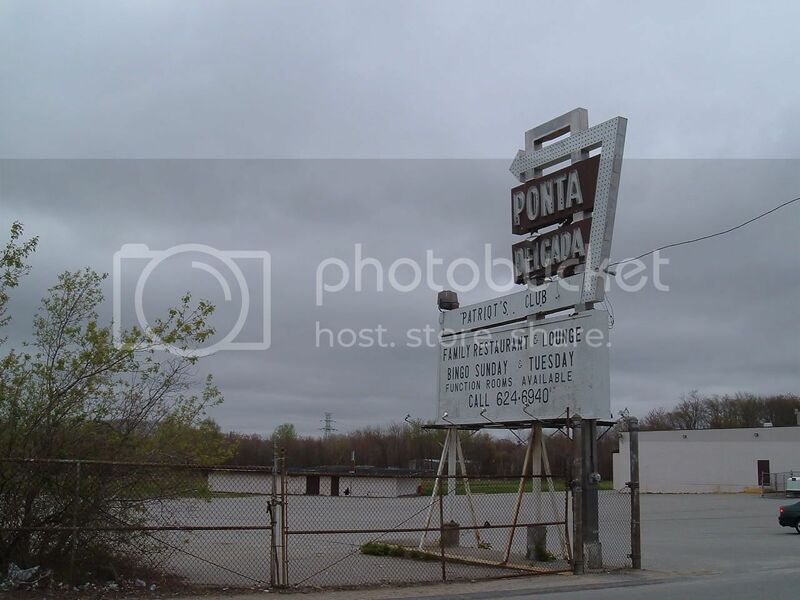 The Ponta DelGada Drive-In may have been the only movie theatre ever in Tiverton, Rhode Island. 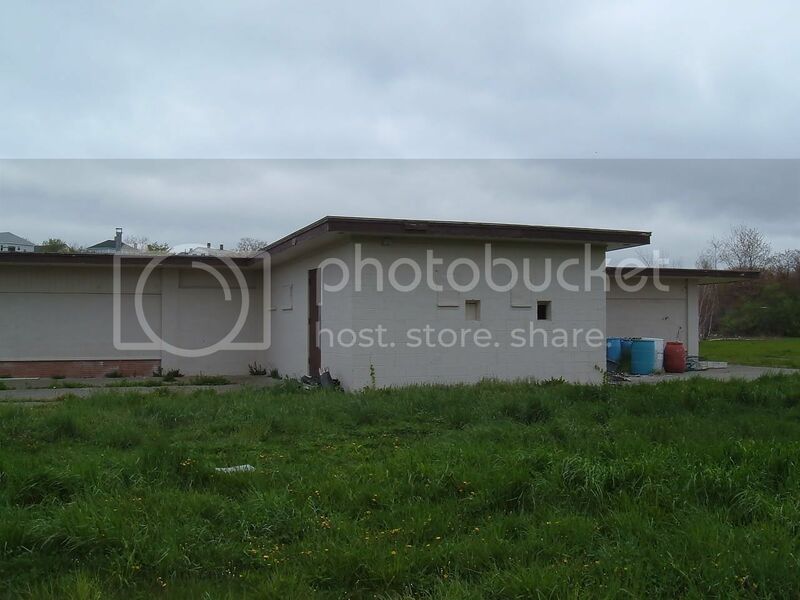 I visited the drive-in and took these four photos. The address of the Ponta del Gada is 70 Shove Street, which is at the corner of Walnut Street. 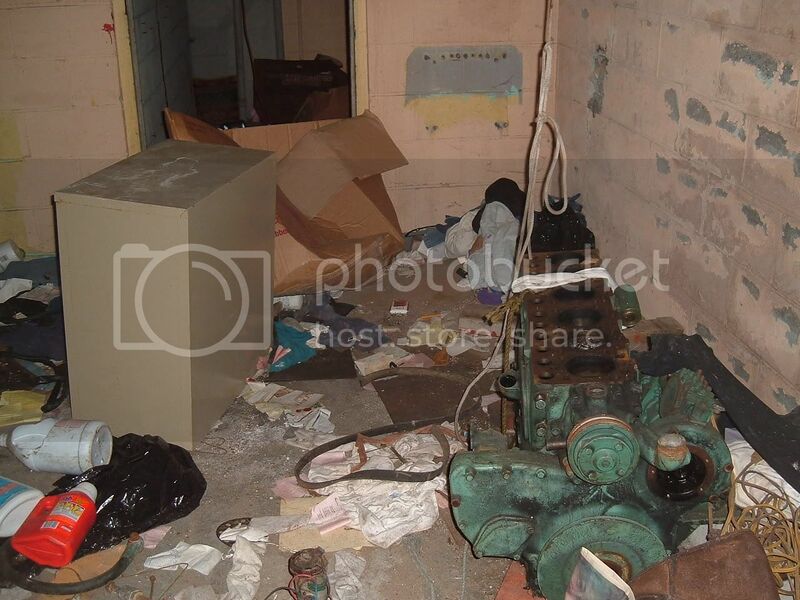 It is a block away from the center of North Tiverton, a neighborhood in the town of Tiverton. North Tiverton’s main street is Main Street, which is also Route 138. The drive-in, in its heyday, must have attracted lots of filmgoers from the Tiverton/Fall River area. The screen is no longer there, only the projection/concession building and the entry sign and marquee. The Tiverton Town Council, acting on complaints that X-rated films at a local drive-in theater can be seen from the street by Children, last night passed an ordinance to ban such films in the town. Councilmen also received petitions signed by 961 residents against the showing of X-rated films. The theatre is the Ponta Del Gada Drive-In on Shove Street, the town’s only movie theater. After being advised that the ordinance probably would not survive a court test, the council unanimously directed town solicitor William B. Sullivan to draft another ordinance that would require the licensing of films shown in the town. A mother who attended the meeting, Mrs. David Silvia of 8 Clement Street, said her children could see the films at the drive-in from the kitchen window of the home. “It’s a disgrace,” she said. Ponta Delgada is apparently the proper form for this Portuguese name, by the way, regardless of how The Providence Journal presents it. Delgada is all one word on the marquee, as well. The projection booth/concession stand is gone. It appears to have been removed by 2011. Also, while the Google street view of the marquee taken in 2012 shows it to be intact, the satellite view which was taken more recently shows some substantial changes. So, the marquee may look quite different today, assuming it is still standing.